We have often received questions from all of you about how you can form better relationships, friendships and connections in general. It is true that life is extremely lonely when we cannot connect with others to share pieces of our days and our learned wisdom. Many of you have sought out our services to help you find your true twin flame. Others have come to us asking for help with re-connecting with family members and lost loved ones. We will be here to help and guide all of you until you are each fulfilled romantically and secure with those you hold dear. 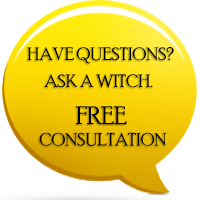 Today, we would like to speak to you all about how you can better meet new people and thereby strengthen your ability to meet future partners, friends and lovers. As adults, much of our routines surround work and home life. We rarely have opportunities outside of our careers to connect with other like-minded individuals. We have already given you suggestions on how to join a Coven; some of the same rules apply when it comes to making friends. Try your best to accept every invitation. Join a group, take a class, volunteer anything that will take you away from your home and interacting with others will lay the foundation to your future relationships. Think outside the box. You may think you and your new friends may need to be equals, however, this is not the case. Do not shut the door on a potential friendship because your music choices or tastes in food are different. Do not judge—trust and believe in others. Give you and your new friendship a chance to thrive. Be willing to get past the small talk. You must build intimacy and the first way to do this is to allow yourself to be vulnerable and to share some information that makes you, you. You do not have to disclose anything major, start small and gauge the other person’s interests and reactions. Stop over analyzing and judging yourself. If you are always attracting the same kind of people into your life, try a life overhaul and see why you are attracting people who are not allowing your world to grow. If you do not like sports or being active, do not submerge yourself into an area full of people who do such as a gym. If you are into the arts, start looking at galleries, classes or events. Let go of your insecurities. Do not worry how others will see you, in fact, be confident in who you are as a person and others will either run or stay. Though these points appear simple, it is completely understandable for you to feel lost. In this case, there is nothing wrong with asking for help and guidance. As a Coven, we have come together, to create a new Spell to help you in the endeavor of gaining new connections, admiration, acceptance, respect and becoming a part of a community. Our Popularity Spell will work by sending out energies to firstly give you a mental boost and secondly to point the attention of others in your direction. The Spell’s energies will fill you with power so that you will radiate likability as you go about your day to day life. As you cross paths with others they will return your smile happily. With help from the Popularity Spell you will gain the self-confidence and patience you need to practice and perfect your social skills. It is possible to find friends almost anywhere and to hold onto those bonds for a lifetime. Common sense, but we all need to be reminded of the "common" things every so often. Thank you for sharing your thoughts! i agree with every terms of this body cos life has a way of bringing our destiny close to us only that we fail to understand and grab it.